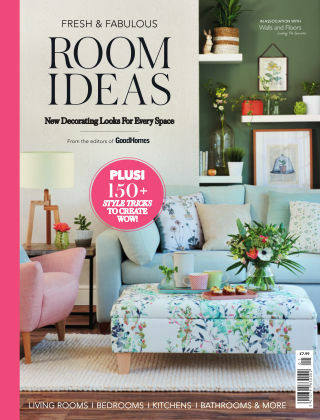 With Readly you can read Good Homes: ROOM IDEAS and thousands of other magazines on your tablet and smartphone. Get access to all with just one subscription. New releases and back issues – all included. This 180-page coffee table publication, the second in our Special Edition series, is packed with easy-to-follow style advice, simple decorating tricks and gorgeous images to inspire your interior design. Arranged into eight room-by-room sections, it covers everything you need to know when planning your schemes, including expert design tips, beautiful finishing touches and insider secrets to create a home you’ll love for years to come.